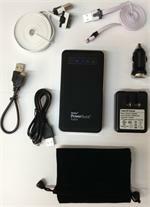 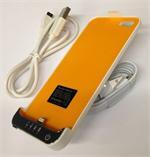 Home > Cellphone-Smartphone > PortaCharger AA : Portable Charger - holds 4 x AA Alkaline batteries, has USB2.0 output & LED light. 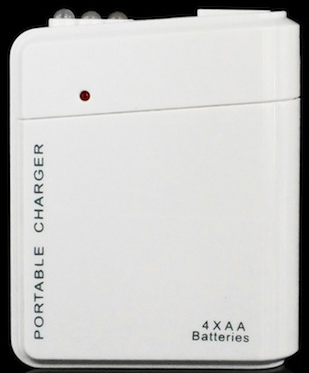 PortaCharger AA : Handy portable battery charger. COver slides open to hold 4 x AA Alkaline batteries (sold separately). 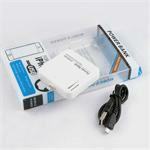 Has 5VDC USB2.0 output, and also can be used as a bright LED flashlight ! 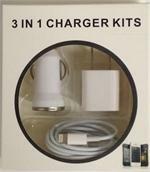 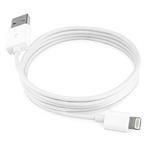 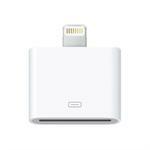 Ideal for charging cellphones, digital cameras - virtually anything that can be charged from a USB output. 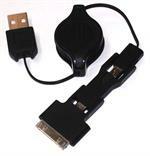 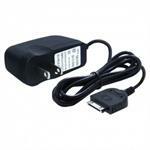 DCP-MO-V9 : micro-USB to USB2.0 adapter cable. 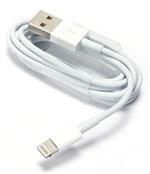 For Charging & Data transfer. 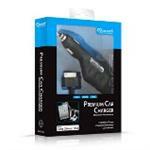 Fits cellular (SAMSUNG, Motorola, HTC, LG, Kyocera, many others). 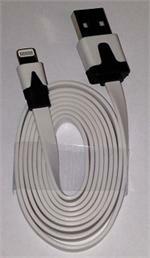 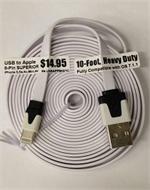 Heavy-duty 3-foot cord.